Images via mugshots.com, Wikipedia Commons. 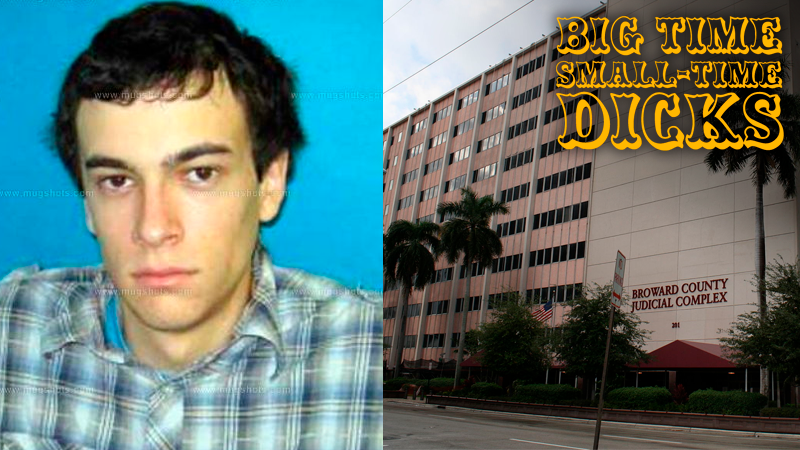 The executive board of the Broward County Republicans recently found out that their newly-elected secretary, 28-year-old Rupert Tarsey, used to go by a different name: Rupert Ditsworth. And Rupert Ditsworth, unfortunately, was charged with attempted murder in 2007 for allegedly beating a female classmate with a hammer at least 40 times, splitting her skull open. Barcay reportedly suffered injuries in her head, face and legs, and Tarsey was reportedly taken to a psychiatric facility. The case was eventually tried in adult court, and Tarsey told the Herald that he pleaded no contest to a misdemeanor, claiming self-defense (the Herald notes that he is 6'2"). Tarsey went on to get married, have children, and volunteer on the Trump campaign. He claims he started going by his mother’s maiden name because he was estranged from his father, not to hide his identity. “It’s not the charges that matter, it’s what happens in court,” he told the Herald. He claimed that “This whole thing”—meaning, I suppose, the local GOP finding out that he has a gruesome criminal record—“is in retaliation for my speaking out against Bob [Sutton],” Tarsey told the Herald.